Written by Charles on October 11, 2018 in Blog. You most certainly know surfing is a sport that’s performed standing up, on a board, across waves of varying size and shape. You might even know about “boogie boarding” — surfing while laying down on a small foam board. But did you know you can surf with no board at all? Welcome to bodysurfing, the original and purest form of wave riding. No board, no leash, no wax — just you, a pair of swim fins and open ocean swells. 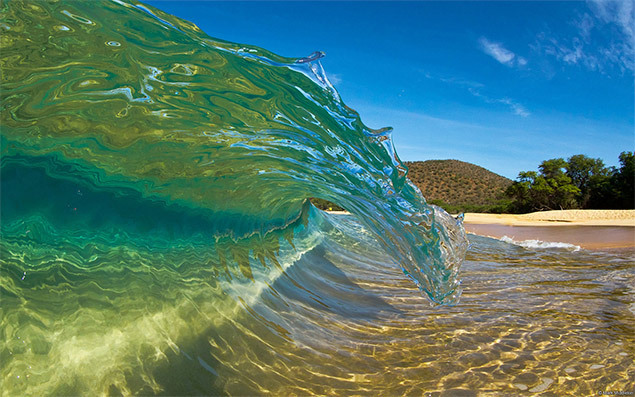 Is this a big or small wave? In Hawaii, bodysurfing is known as kaha nalu or simply: “to surf waves.” It’s important to note that to ancient Hawaiians, surfing was not just a recreational sport, but a deeply sacred part of their culture. That sense of sacredness remains intact for a lot of us bodysurfers today. You don’t need much equipment to bodysurf: just a swimsuit and a good set of swim fins. Some people like to use a hand plane, which helps reduce the drag of one’s body across the wave, thus increasing speed and providing longer, faster rides. (Note: handplanes can be awesome, but they can be seriously hard to swim with). Whether you surf with or without a surfboard, the same rules of the ocean still apply. Like surfers, bodysurfers need to know how to swim (obviously); read currents, swells, tides and conditions; dive under waves; and position themselves to both catch and ride waves. Also, as with all surfing, the element of courage also applies. When you’re bodysurfing, you’re using your body as the board, so everything is “overhead”, meaning your vantage point makes all waves bigger than you. In fact, bodysurfing is large or heavy conditions can be far more terrifying than if you were on a board. In my experience, bodysurfing is often far more enjoyable not because of the ride (surfboards go faster, move better and standing up on a wave feels awesome), but because bodysurfers simply don’t carry burden of the typical surfer image nor the aggression that many surfers possess. 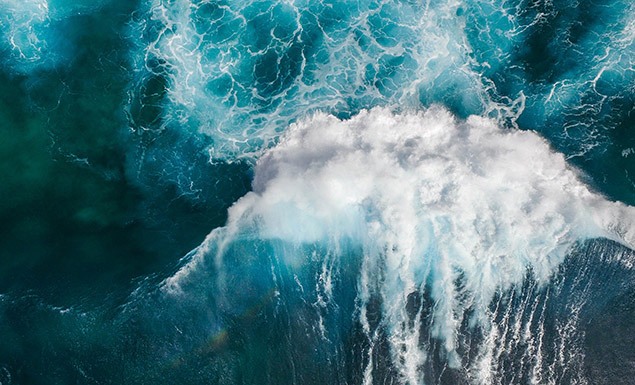 In other words, bodysurfers are lucky to not be bombarded by the superficial image of a billion-dollar surf industry or the endless crowds of aggressive surfers who constantly scrap each other for waves. Instead — because bodysurfers constantly cheer each other on and don’t have to worry about the hazards of a board — we get to catch waves in even the most crowded of conditions, and usually in spots where surfers can paddle in fast enough. The view from above. Would you go? 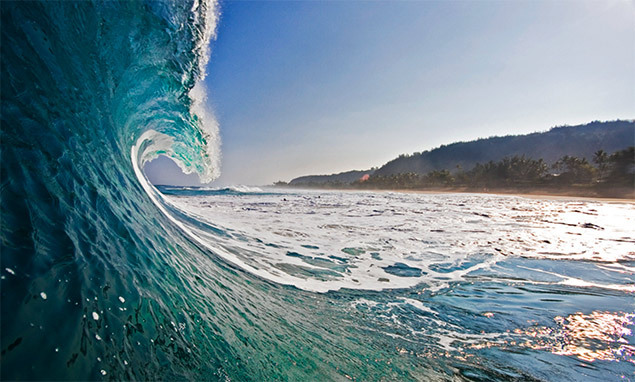 There are a few distinct types of bodysurfing waves: shorebreak, sandbar and reef. Shorebreak waves break or even pound directly on the shore, usually right where the ocean meets the sand. They’re quick, powerful and usually end in a “closeout,” which means the wave breaks right onto the bodysurfer. Sandbar waves often form when the sand under the water shifts around from incoming swells to form a bar of sand that helps form the shape and power of a wave. Shorebreak waves usually also break over sandbars, but sandbar waves can also form further out to sea. 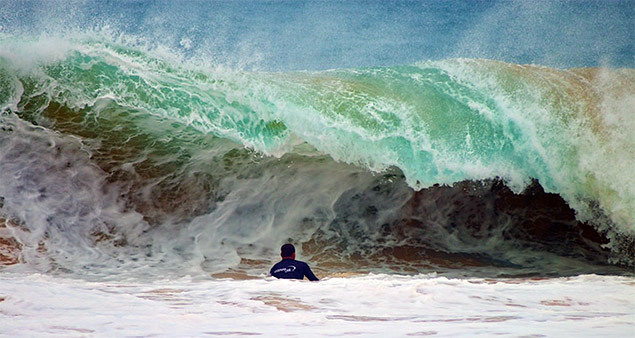 When conditions are right, sandbars can provide some of the very best bodysurfing on the planet! 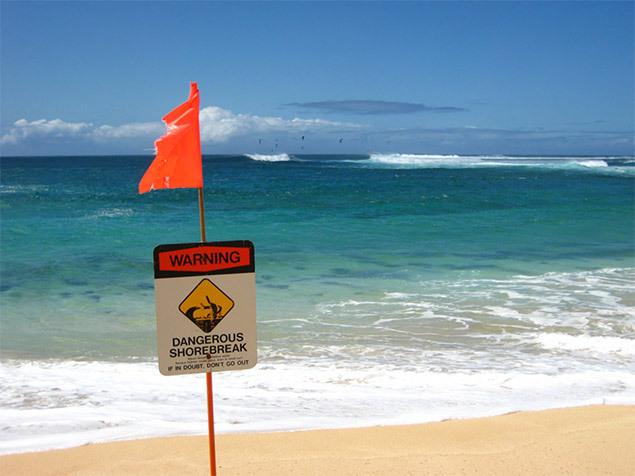 Reef breaks are often more consistent because they don’t necessarily depend on sand. Reef breaks are also usually longer and more technical since the features are pre-determined by the shape and contours of the reef (and sand) below. Reef breaks can be a little trickier for bodysurfers because they’re usually filled with surfers who catch most of the waves further out than bodysurfers can reliably catch waves. With that said, however, an experienced bodysurfer can pretty quickly figure out where to position themselves on the inside of the crowd and catch the waves that boardriders either fall on or are too far out to catch.